I want to start this course by talking about how I view and hear harmony. The first time I was introduced to jazz, I started by studying the different modes, scales, and chords, and I was overwhelmed by the number of different things to learn. Despite all of this information, I was unable to actually hear or understand what is now, to me, the main point in harmony, logic. I’ve had a great luck to have teachers, friends, and colleagues as mentors who taught me the exact principles that we are going to explore in this course. In this course, I’m going to simplify a few harmonic concepts that you might have found complicated and difficult to understand. I always try to think that music is usually either resting or heading towards something that is resting. 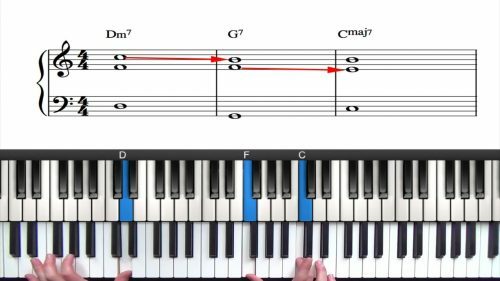 In this course, we will use only one melody, which first starts with a very common jazz phrase, and ends with notes of a triad. Usually, melodies come in groups of 4 or 8 notes when playing in 4/4 time, but for the purpose of this course, we will use the melody freely without time. It doesn’t seem like a lot of material, but I will show you in the following lessons how much you can do with only one melody. Also, if you want a challenge during this course, you can go and transcribe any melody from your favorite player that works over a 251 progression and use it during this course. 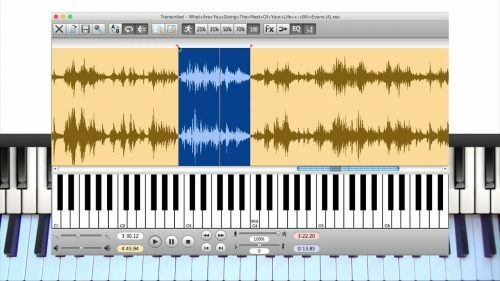 In this lesson we explore 2 useful features of the Transcribe Software that will help you with transcribing chords and improvised lines. By transcribing you will discover voicings, melodies, harmonic concepts and rhythms played by the masters. Transcribing can take many different forms. The first is simply listening to music in the background. The next level is to listen more carefully and hear how the tune moves harmonically and melodically. 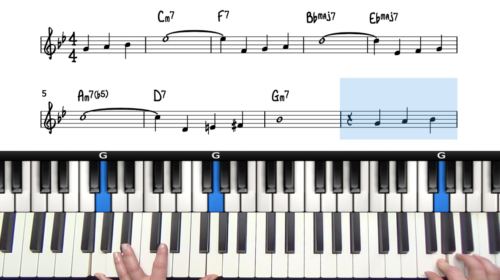 The last level is to actually transcribe and notate every note that is on the record. Writing it down might feel difficult at first, but if you keep doing it on a regular basis, it will get easier and this is the best and only ear training exercise you will ever need to do. Learning these things and applying them to your own playing is the most beneficial thing you can do when learning improvised music.